"Leslie was awesome to work with. He was friendly and very upfront about what would happen, how long it would take and the firm cost. He made sure the job was finished to our satisfaction and as promised. The employees were friendly, efficient and respectful. They could also speak English which was a plus. I would absolutely hire this company again and would recommend them to anyone." 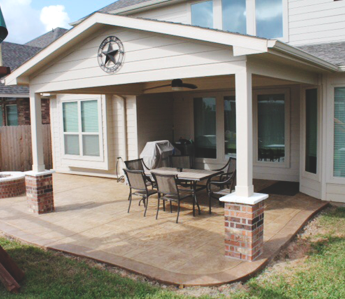 "Built a fantastic patio onto the rear of my home. The design was going to be somewhat complicated because of the various roof lines, however Leslie and his crew were the only contractors that made me feel like they really knew what they were doing and helped me to visualize the final product. His crew showed up exactly on time and completed the patio in one day! I have been recommending him to everyone that asks. Leslie is a true Christian and a real gem in the contractor world."